The All Blacks remain clear favourites to win this year’s World Cup because their players are (almost) well looked after. New Zealand will arrive in Japan with bodies that can still go the extra mile. A lot of the players from England, France and South Africa will be running on empty. If the All Blacks and England both win their pools, the two teams are due to meet in the semifinal. But the England team that demolished Ireland is not going to show up. It will have been smashed to pieces by then. The England team that came together so startlingly in Dublin is seen less often than a total eclipse. 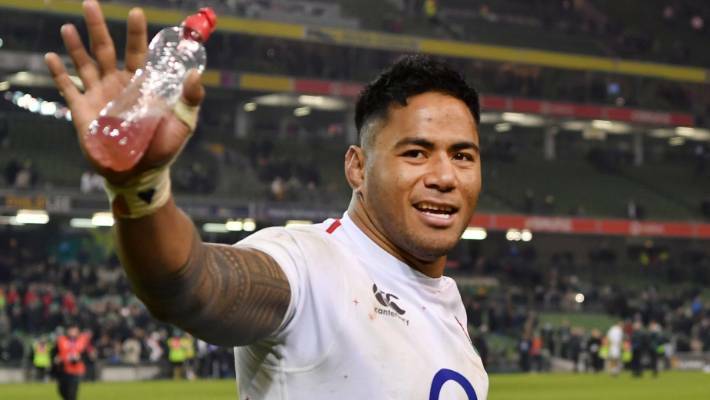 It is inconceivable that the Vunipola brothers and Manu Tuilagi will all still be standing in November. Eddie Jones says he has never been able to pick a full strength England squad, and he never will. The England coach has already lost Maro Itoje with medial ligament damage to his knee for most of the remainder of the Six Nations. Itoje is just the start of the carnage. There will be many more casualties before England play Scotland at Twickenham on the final Sunday of the championship on March 17. The All Blacks will open their 2019 Rugby World Cup campaign with a plum match against the Springboks and could face a semifinal with Eddie Jones’ England as they strive to become the first team to win three successive titles. Steve Hansen’s team – ranked number one in the world in 2017 – is in Pool B with South African (ranked 5), Italy (14), the Africa 1 qualifier and the repechage winner. The draw was made at 8pm on Thursday, with the All Blacks getting the dream first round matchup with the Springboks at Kanagawa Yokohama Stadium – with a 72,327 capacity – on Saturday, September 21, at 6.45pm (local time). v Repechage Winner, Oct 2, 7.15pm (NZ Time, 11.15pm) at Oita Stadium. v Africa 1, Oct 6, 1.45pm (NZ Time, 5.45pm) at Tokyo National Stadium. v Italy, October 12, 1.45pm (NZ Time, 5.45pm) at City of Toyota Stadium. Quarterfinal 1: Saturday October 19: W Pool C v RU Pool D, 4.15pm (8.15pm NZ Time) at Oita Stadium. Quarterfinal 2: Saturday October 19: W Pool B v RU Pool A, 7.15pm (11.15pm NZ Time) at Toyko Stadium. Quarterfinal 3: Sunday October 20: W Pool D v RU Pool C, 5pm (9pm NZ Time) at Oita Stadium. Semifinal 1: Saturday October 26: W QF 1 v W QF 2, 5pm (9pm NZ Time) at Yokohama International Stadium. Semifinal 2: Sunday October 27; W QF 3 v W QF 4, 6pm (10pm NZ Time) at Yokohama International Stadium. Bronze Medal Game: Friday November 1: Loser SF 1 v Loser SF 2, 6pm (10pm NZ Time) at Tokyo Stadium. Gold Medal Game: W SF 1 v W SF 2, 6pm (10pm NZ Time) at International Stadium Yokohama. All Blacks fans are going to require deep pockets to match their high expectations at the Rugby World Cup in Japan. As has become the norm at true global sporting events such as the RWC, ticket prices are eye-wateringly high, and even more so if the All Blacks are your team. Steve Hansen’s back-to-back world champions from New Zealand have been put on the highest ticket price bracket alongside the host nation for the pool stages of the event, with three of the All Blacks’ four first-phase matches selling for four times what it costs to attend the cheapest preliminary contests. The general public application period for tickets has just opened, following 2.5 million submissions across the priority phase of the process. A total of 1.8 million fans are expected to attend the tournament, including 400,000 visitors. New Wales coach Wayne PIvac will face a stiff test on his first tour with the side. Kiwi Wayne Pivac handed three-test All Blacks series for first tour with Wales . No pressure, then. Kiwi Wayne Pivac’s first tour as Wales rugby coach will see him take on the biggest challenge in the game in New Zealand in 2020. It has been reported in the UK that Wales will play three tests against the All Blacks in July of 2020 to kick off the new post-RWC international tours schedule. That looms as an early litmus test for the Kiwi who takes over from compatriot Warren Gatland as Wales national coach following the 2019 World Cup in Japan. Pivac is currently head coach of Scarlets in Wales where he has enjoyed some notable success since first joining them as an assistant in 2014. The Kiwi will be an “observer” at next year’s global tournament and takes the reins after that for what is thought to be a December clash against the Barbarians, followed by the 2020 Six Nations which will include visits to the Aviva Stadium and Twickenham to face, respectively, Ireland and England. Read more Kiwi Wayne Pivac handed three-test All Blacks series for first tour with Wales . “I am a totally different man to when I first started coaching,” said Steve Hansen. You could tell straight away what Steve Hansen was going to say to the huge group of assembled media at the Auckland’s Heritage Hotel on Friday morning. He strode into the room wearing a plain shirt. It was the first time I could remember in the last two seasons that he fronted the cameras without an All Blacks branded suit or tracksuit jacket. It was jarring. He didn’t look like the man some of us had been following around New Zealand and the rest of the rugby world for the previous six months. Hansen is a constant fixture in every major announcement to do with the team, whether it’s naming the match day 23 or breaking injury news. Now though, he was sitting in front of us having shed the skin of his role as one of the most powerful people in the country, appearing like any other middle-aged New Zealand bloke.